Biking and walking commutes, when convenient, come with their own bonuses: the chance to squeeze into two separate exercise sessions in a workday, fresh air, and avoiding stressful car commutes. But even in the bike-friendly city of Bologna, Italy, those fresh-air commuters receive some extra incentive. 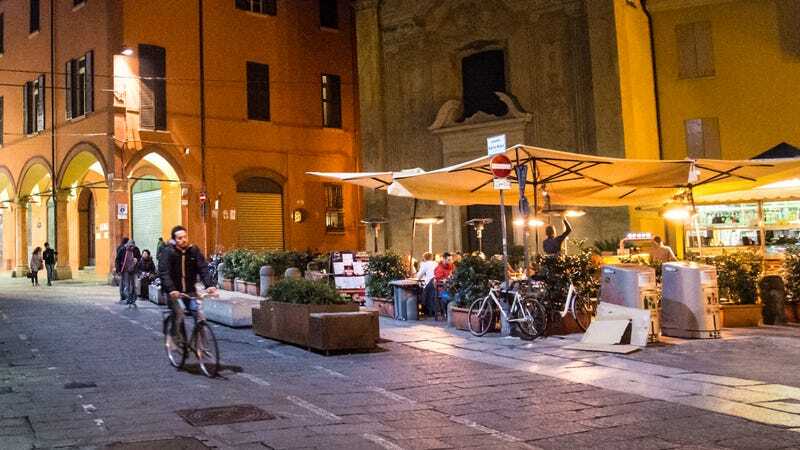 The BBC reports that in an anti-pollution effort, Bologna’s Bella Mossa (“Good Move”) app rewards people who bike, walk, or use public transport to get to and from work. Rewards arrive in the form of beer, gelato, and even movie tickets. Created by urban planner Marco Amadori in 2017, the app tracks your “green journeys,” then assigns points users can swap for tasty treats and other bonuses. A GPS tracker helps prevent cheating. The app will also tell you how much CO2 you save with each trip. Over 100 local businesses have signed up to support the effort by offering discount vouchers. So far the EU- and local-government-funded app appears to be popular: Last year, Bella Mossa tracked 3.7 million kilometers in green journeys, with 16,000 vouchers claimed. With more dire news about climate change arriving seemingly every day, we would love to see something like Bella Mossa go global, encouraging everyone to ditch their cars for short trips in favor of more environmentally sound travels.